OnePlus, the sister company of Vivo and Oppo, has launched their latest flagship, the OnePlus 5, via a web stream two days ago. India is a big market for the company. Hence, it is witnessing a separate launch event that is scheduled for today in Mumbai. Hours before the official announcement, we have confirmed prices of both the variants of the device, thanks to our source. The one with 6 GB RAM and 64 GB internal storage is priced at ₹32,999. The 8 gigs RAM and 128 gigs storage variant will be sold at ₹37,999. It is to be noted that the US prices are $479 and $539 respectively, as announced two days ago. At the current currency conversion rate ($1 = ₹64.50), the figures are on a higher side with a difference of around 2-3 thousand Indian Rupees. 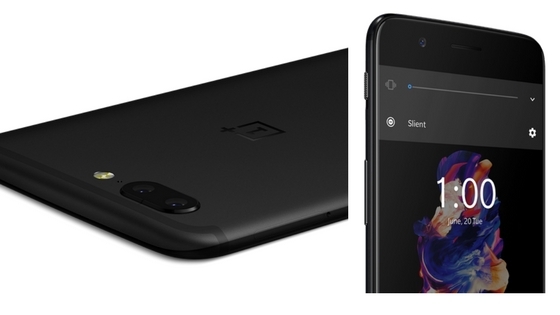 As far as other technical specifications are concerned, the OnePlus 5 features a 5.5-inch FHD display (1920x1080 pixels resolution) with Corning Gorilla Glass 5 protection. It runs on the Qualcomm Snapdragon 835. The rear camera is a dual lens setup (20 MP + 16 MP), and the secondary camera is a 16 MP shooter. It boasts of a 3,300 mAh battery that supports quick charging. OnePlus 5 runs on Android Nougat.